I repeated the plea a minimum of fifteen times. I’m not new to backcountry hiking. I’ve traversed the Grand Canyon rim to rim, boulder-hopped in the Wichita Mountains, and hunted remote coulees in thigh-deep snow. But a “casual” hike in the Missouri River Breaks had this Montana girl praying. I was standing on the side of a remote crag along the river, one hand tangled in sagebrush to anchor me. I realized that the high trail I was crossing to avoid the gumbo-thick creek bottom below me didn’t have just one sinkhole: It had twenty, and I had passed several without seeing them. My feet could be on solid rock, or six damp inches of soil above a failed search-and-rescue attempt. As I backed out, I reflected on how quickly I walked into trouble, despite my experience and local upbringing. My idea of the Breaks as a ‘land that eats men’ was not just a fanciful impression. It’s a land that doesn’t balk at eating anyone, whether backcountry neophyte or Bear Grylls, under the right (or wrong) set of circumstances. In 2003, a Minnesota Hunter exited his truck at an access site along the river. 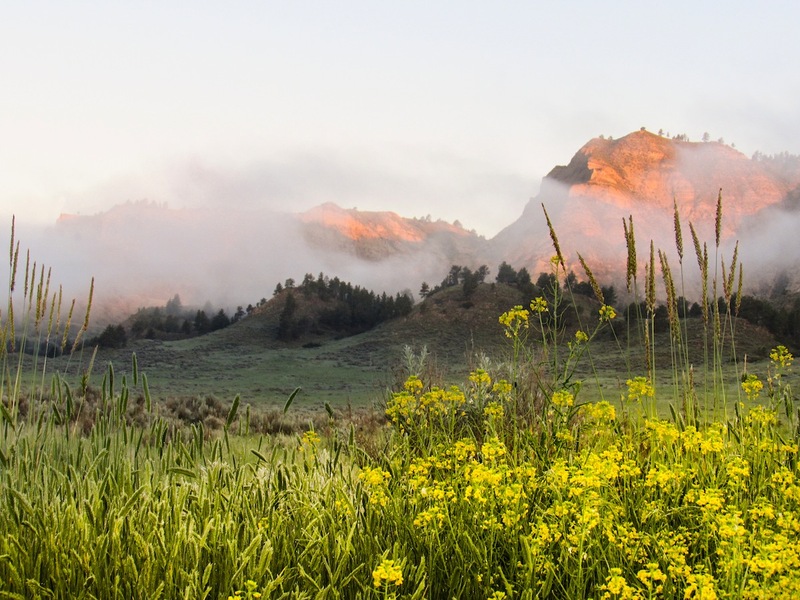 History knows the Missouri Breaks by many designations: Native American Homeland. The Lewis and Clark Trail. Sportsman’s Paradise, Cowboy Heaven, a bane to homesteaders and a boon to outlaws. I could add another one: The land where Montana could morph from “The Last Best Place” into “The Last Best Place to Die.” But in a land of rough beauty, despite the blunt indifference of nature to the unwary, there’s a chance to experience life and lost history in an unparalleled fashion. It hit me on the second day of camping that the real difference down in the ‘bottoms’ was, simply, nature without interference. But nature has it’s own rhythms, and even as respectful travelers, nature will interfere with us. Once, I thought I heard a man laughing across the expanse. It was a pelican, wheeling up the canyon and cackling. On the Missouri, the relentless flow of water is surrounded on both banks by an incomprehensible, maze-like landscape seemingly without rules of up-and-down. The ground shifts every time it rains. In their journals, Lewis and Clark were quick to record their awe about the abundance of wildlife and their wonder at water-sculpted monoliths of rock – but they were just as eloquent about curtains of clinging insects and the dangers of unstable ground. When dusk settles on the river, light fades over the edge of the crags and blackness fills in every hole and nuance of the landscape. The stars are like small distant fires, constellations delineated against an unimpeded darkness. Shooting stars sometimes dart between them. It is, in the correct use of the word, Awesome. But I never want to be a foot from camp without light. It’s breathtaking to wander (respectfully) into the stark wilderness of the Breaks. But one caveat: if you do venture into one of the last truly wild yet accessible areas in the U.S., make sure that “losing yourself” stays a metaphor.